When it comes to putting my face on in the morning, I always pay more attention to my eyes than anything else. Being the windows to the soul, they’re always the things I notice first on a person, but recently I’ve realised how much I neglect my lips when it comes to makeup. I love a good lipstick, but I guess I’ve always felt like I can’t quite pull off a strong colour like some ladies can. 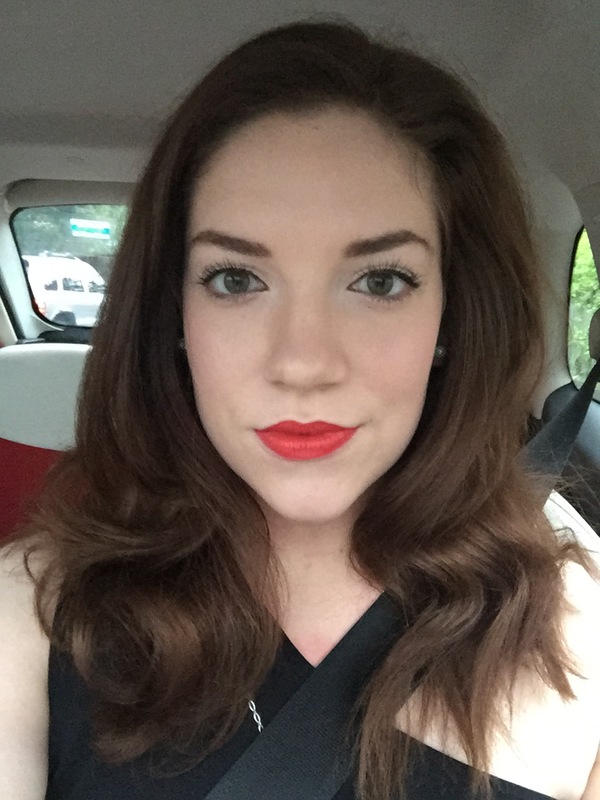 That said, I did try out Bobbi Brown’s Art Stick in Hot Orange for an event a few months ago and absolutely loved it! NB- it seems Hot Orange is no longer on the website (I bought mine in Germany in April), but there are lots of other gorgeous colours available. The early evening light for this #carselfie doesn’t quite do the brightness of the colour justice! However, on a day-to-day basis, I’m after a low maintenance, subtle colour which I don’t have to worry about accidentally smearing across my face while I’m at work or at play…surely that can’t be too much of an ask? 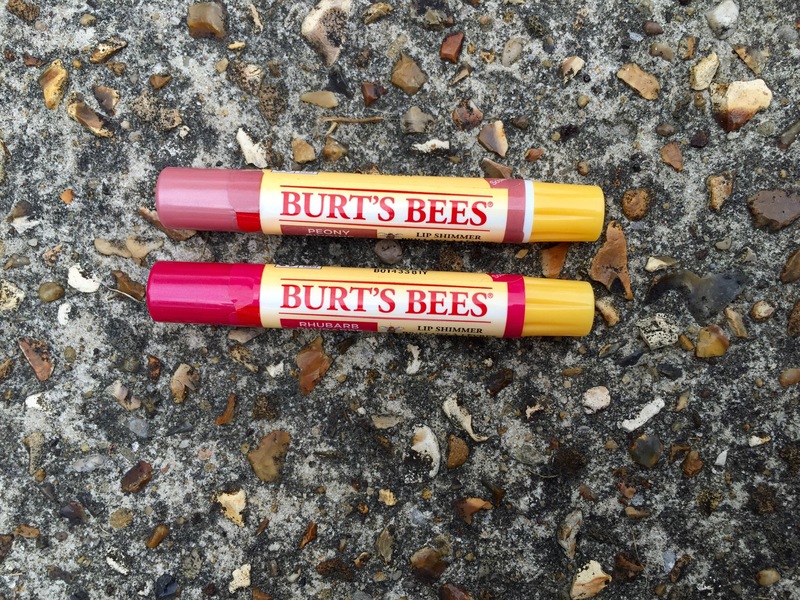 Having seen Burt’s Bees Lip Shimmers on ITV’s This Morning earlier this week, which promised to be quick and easy to apply with strong colour payoff, I decided to pop out and see what all the fuss was about! I’ve been familiar with Burt’s Bees for a while, and absolutely love their Almond & Milk hand cream, which smells more than good enough to eat, so I was intrigued to give their lip products a try. At £5.99 per lip shimmer, they come in a variety of shades ranging from a light apricot to a dark plum. After much deliberation I chose Peony and Rhubarb. In the colour swatches below, the colours look a little different depending on the light, but Peony is a shimmery bronze, rose gold, and Rhubarb is a deep pink, almost purple shimmer. I thought I’d prefer Rhubarb, but after trying them both out, I think Peony appealed to me more. It feels like more of a summery colour, but I can imagine it’ll work beautifully for Christmas and New Year too. Being a darker colour, it’s a little harder to hide any application mistakes when using Rhubarb. I swept it across very quickly, and did find it a bit streaky when I looked back at my photos. It’s definitely higher maintenance than Peony, but I’m looking forward to using it throughout Autumn to complement all of the other gorgeous jewel tones which this season brings. What the lip shimmers do have in common is that they both taste and smell delicious- pure peppermint! Due to this, they left my lips feeling fresh and tingly, too. While I was browsing what Burt’s Bees had on offer, I also picked up one of their lip balms. Out of my three purchases, this lip balm is probably my favourite, and the one I’ll be using the most. I tried to test it on my hand to show you the colour payoff, but there’s virtually none! Of course, the idea of the lip balm is primarily to heal and protect rather than be a lipstick, and it does this very well. I chose the balm with pomegranate oil, which smells gorgeous, and cost £3.69. 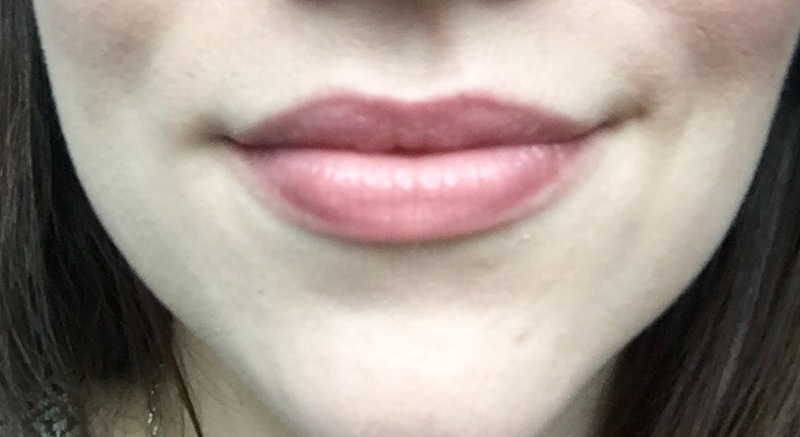 Again, there’s not much of a difference to be seen, but my lips looked and felt softer and smoother. 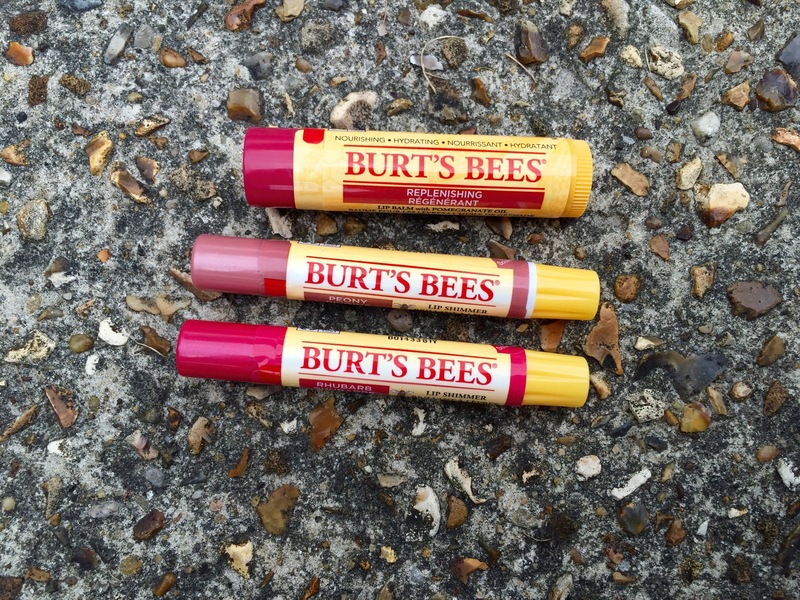 Have you tried any of the Burt’s Bees range? If so, what’s your favourite? ← How to: Courgette Brownies!